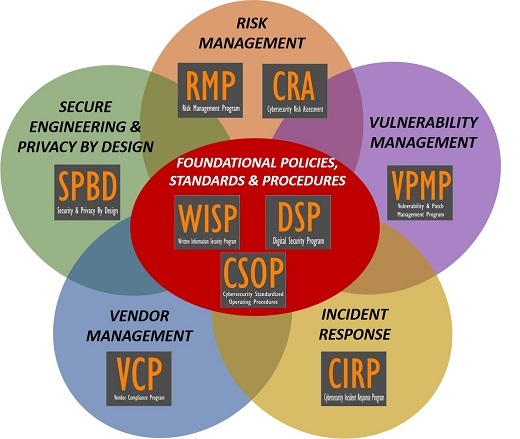 The foundation for an organization's cybersecurity and privacy program is its policies and standards. These components form the alignment with leading practices to help ensure applicable statutory, regulatory and contractual requirements for cybersecurity and privacy are addressed. From these policies and standards, procedures and other program-level guidance provide the specific details of how these policies and standards are implemented. Do You Need To Align With A Specific Cybersecurity Framework? There are a lot of choices to pick from when selecting a cybersecurity framework. If you are not sure what works best for you, you can read more here. The most common frameworks are NIST 800-53, ISO 27002, the NIST Cybersecurity Framework and the Secure Controls Framework (SCF). How Old Is Your Documentation? If your cybersecurity policies, standards and procedures are old enough to start kindergarten (4-5 years old) then it is time to refresh your documentation. Cybersecurity and privacy are evolving fields and your documentation needs to be current to address these new requirements and threats. In both the Written Information Security Program (WISP) and Digital Security Program (DSP), we use a hierarchical model to design the documentation. The idea is the structure allows the mapping of policies all the way down to metrics.